Let us show you how to expand your concept of uniqueness. 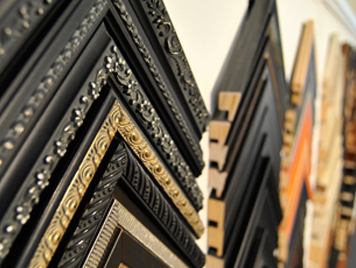 From quality framing to a range of talented artists, the Rebecca Gallery has over 25 years of art gallery experience and framing craftsmanship to offer you. In a world where you thought you had bought something original, only to see it later in Walmart or IKEA, it's hard to not be discouraged. This is where the beauty of not just original art but cherished items of importance can be brought to life—in a truly unique and one-of-a-kind way. The gallery represents a stable of both emerging and established Canadian Artists who create in the mediums of textiles, painting, photography, printmaking and sculpture. The space can also be rented for special events such as showcasing art school graduates, book launches, etc. Redecorated your home? Has your business moved into a new office space? Or just need an experienced eye to advise hanging your art collection—the Rebecca Gallery can help. We can also help with insurance quotes for damaged artwork or direct you to restoration specialists. For over a decade, Kerry Fitzmaurice and the Rebecca Gallery has always done a wonderful job with any framing request we’ve brought in. She has an exceptionally experienced eye for knowing what will make an artwork shine but was never pushy with her suggestions. Kerry also made a wonderful plexiglass display box for my father-in-law’s war memorabilia. She’s done simple jobs from framing and/or rematting family photos to coordinating the cleaning of a 17th century oil painting with one of the city’s best art restorer.